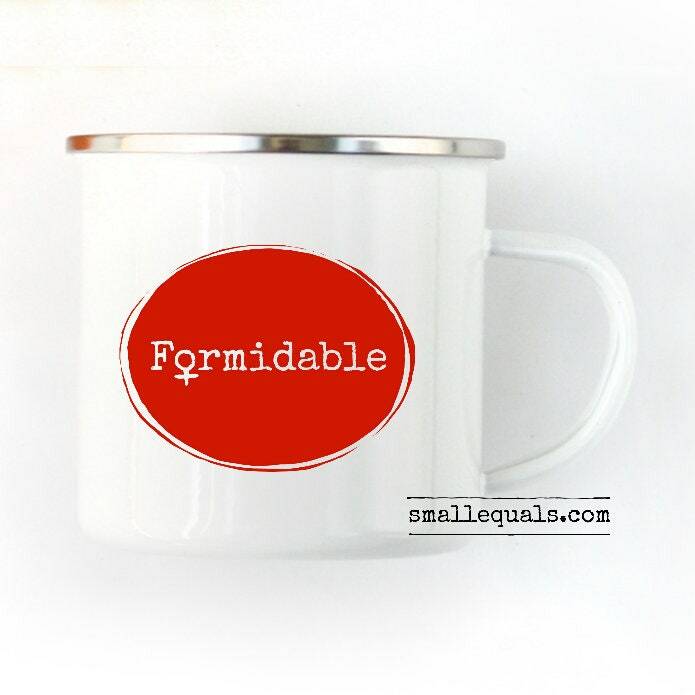 Formidable Woman, 110z ceramic cup, or 10 oz metal camp cup, gift for the strong women in your life. 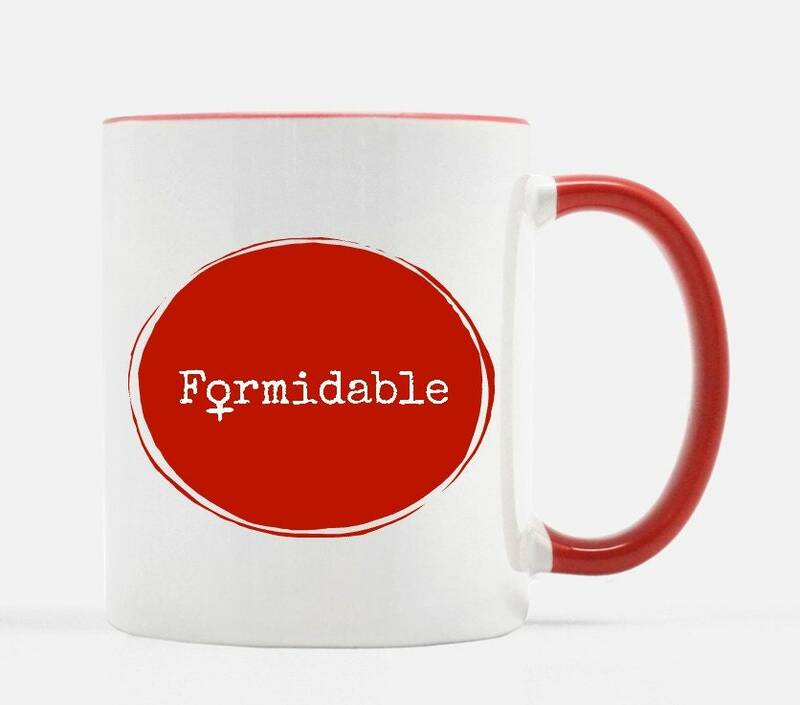 Formidable Woman, coffee or tea cup. 11 oz ceramic or 10 oz metal camp cup. Perfect gift for all the strong women in your life. Made in Arizona. Ceramic cup is dishwasher and microwave safe. Metal cup is NOT microwave safe. For your own morning inspiration, or great as a holiday, housewarming or birthday gift. Free shipping in continental US. Send me a message to find out shipping prices to other areas.